Municipal elections that were to be held in the West Bank and Gaza early next month have been postponed by a Palestinian Authority Supreme Court decision but it is already being contested. The court that made the ruling is based in Ramallah which is a stronghold of Fatah. The postponement is said to be dictated by the contestations between the two parties over candidate lists and the non-participation of Jerusalem in the planned elections as well the presence of two courts in the fief of each of the parties. It has been almost a decade since Fatah and Hamas challenged each other in elections. The latest parliamentary elections in 2006 were won by Hamas, which boycotted the 2012 municipal elections. The buildup to this year’s election has been tense as opinion polls hint that calls for President Mahmoud Abbas of the Palestinian Authority to step down are mounting. 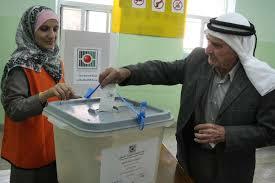 Palestinians expect the municipal elections would pave the way for the long awaited presidential elections. Earlier on Thursday, a court in Gaza invalidated five electoral lists belonging to Fatah. Some Fatah officials had asked that the vote be canceled, fearing large-scale gains by Hamas in the West Bank. Written by: Peter Mulvany on September 8, 2016. Posted by Peter Mulvany on Sep 8 2016. Filed under Headlines, World News. You can follow any responses to this entry through the RSS 2.0. Both comments and pings are currently closed.